Many cooking pots and dishes of the Minoan period have been found on excavations from Minoan settlements around Crete. Inspired by the examples of tripod cooking pots and cooking dishes at the sites of Papadiokambos(under the direction of Chrysa Sophianou and the Kappa Delta Eforia and with the support of Tom Brogan and INSTAP Study Center for East Crete) and Mochlos(under the direction of Jeffrey Soles and Kostos Davaras.) 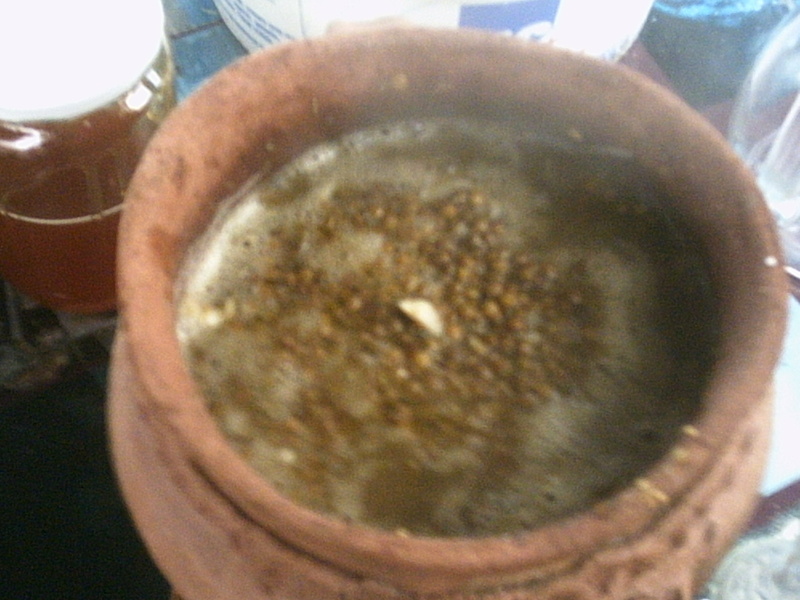 Jerolyn was able to reproduce the vessels for cooking. 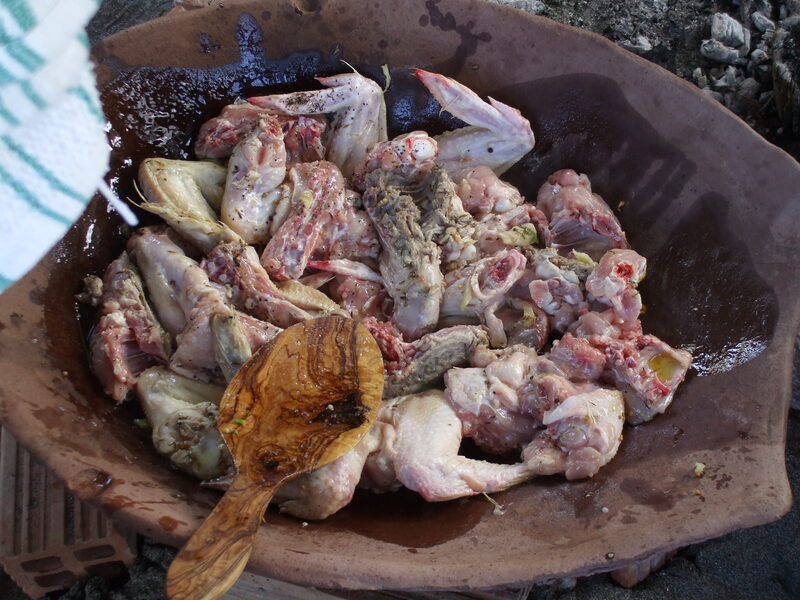 As everyone arrived at the village called Pachea Ammos,we could see that Jerolyn and her project partner Jad Alyounis had already prepared some of the ingredients ready to cook later,some dishes needed to be marinade. Bricks were laid upright in a square shape in order for the wood/charcoal to fit into and burn to temperature sufficient for cooking. There was a variety of food to be cooked consisting of octopus,liver,fish,chicken and lentils. Although the time taken to cook the various types of food as the Minoans could have done,once cooked and served, the flavours were outstanding and enjoyed by all. The exhibition was a huge success, so much so that we hope to be able to hold another one in the near future. There will shortly be another experimental event taking place of minoan cooking. Watch this page for more information.